Schnebly Redlands Winery has a following in the Miami area, not just for its exotic wine but because of its entertaining and comfortable venue. This charming place manages to make delicious wines out of all kinds of tropical fruits. It's a wonderful place to visit. The Redlands is a very large agricultural area about 20 miles south of Miami. The area is loaded with farms and fields, and many old houses dating back to the early twentieth century. The area gets its name from the clayey red soil that dominates the area. This soil lies on a layer of oolitic limestone, and is nourished with fresh water from the Biscayne Aquifer. Exotic plants and vegetables thrive in this soil that will not grow any place else in the United States. The area has intrigued botanists and horticulturists for years. After driving many quiet miles through farmland with fields of tropical fruits and palm trees, Schneblys finally appears by the side of the road as if in a mirage. It is worth the trip, and as in many experiences, getting there is half the fun. 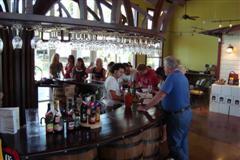 Schnebly Redlands Winery is relatively new as wineries go, and is considered the southernmost of all Florida wineries. Peter and Denise Schnebly have a produce company, Fresh King, Inc. They had a vision of starting an agro-tourism business featuring their 96 acres of tropical fruits such as carambola, mango, Lychee, guava, passion fruit and gourmet vegetables. They started experimenting with making wine from these exotic fruits in their garage in 2003 and have expanded rapidly into today's modern immaculate facility. Today their winery is very successful, and is a destination for many tours. Local folks also use the facilities for wedding receptions and community events. On my recent visit, I tasted 5 wines out of a potential of 16 different selections. I enjoyed 4 out of 5. I won't spoil it for you, because you might enjoy the one I didn't. The buildings and grounds are beautifully maintained, and there are a couple of fountains and waterfalls located among the lush tropical plantings that surround the building. The retail store and wine tasting areas are up front. Private labels for wine can be ordered, and wine gift baskets are also available. Schneblys is also set up to process orders from customers interested in buying wine online. Like many Florida wineries, Schneblys has a busy event calendar. In addition to wine tasting events open to the public, Shneblys also hosts many private soirees like wedding receptions or family reunions. The entire winery has a wonderful relaxed feeling about it. Homestead, Florida is the nearest town to Schnebly, and it is also an easy interesting drive from Miami. More information at the Schnebly Redlands Winery Website. From Miami, take US-1 south to SW 296th Street. Then go west to SW 217 Ave., then turn south to Schnebly Redland's Winery. Go here for more information on special events call 305-242-1224. 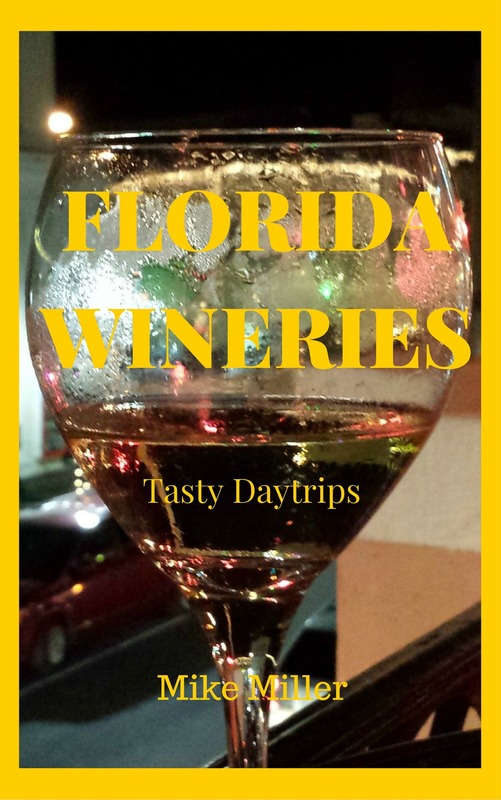 FLORIDA WINERIES is an Amazon Kindle book based on this website that discusses the Florida wine industry and includes articles on 19 individual wineries. The book can be read on a computer, tablet, Kindle and most smart phones. Click on the book cover for a free preview of the $ 2.99 book at Amazon.